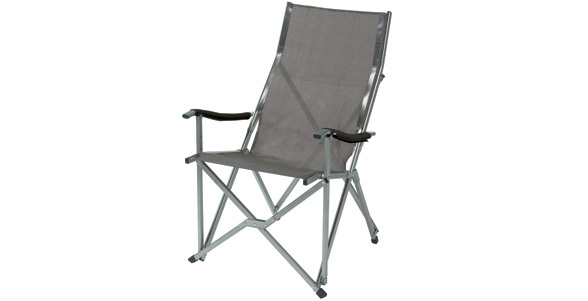 Sit back and relax this summer in the comfort of this supportive mesh chair with a high back to ergonomically support the head and neck area for more relaxed comfort. The strong mesh fabric heightens comfort and is incredibly breathable to offer a great air flow while you relax, if you perspire as the summer sun beats down, this fabric is also quick drying. The aluminium frame is durable and tough to see you through many summers for years to come and packs down compactly, perfect for transport and storage. The chic design looks good at the campsite and even better in the garden as it exudes the same stylised finish of fashionable garden furniture.